APRA Prospect Development 2016 Recap! 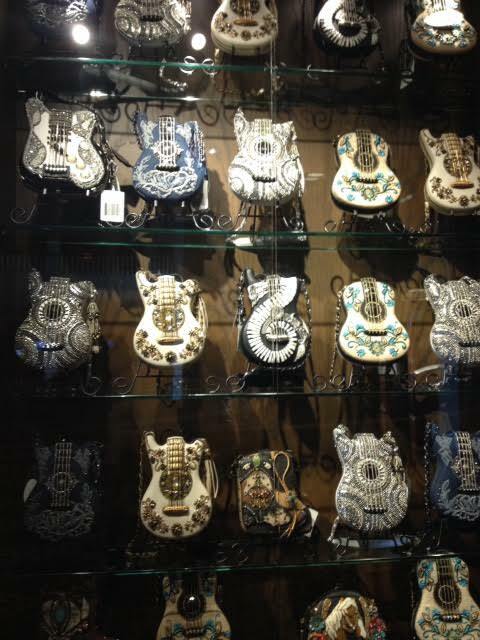 Highlights include an entire store wall of embroidered guitar purses. your values and asked us to do an exercise in which we listed our values, then shortened our list to get at what we value the very most. It’s an exercise I’ve did earlier this year, and I have found it very useful for prioritizing my activities and reflecting on whether or not an activity or behavior is working against or towards my values. It reminded me of a Parker Palmer quote about vocation. As nonprofit professionals, we are acutely aware of the many, many needs of the world and it is easy to focus purely on those needs and ignore what we value as well, including what we actually enjoy doing. But if we are to avoid burnout and live a satisfying professional and personal life, we need to find a way to knit the two together. I’m going to try Risa Mish’s Sunday night journal exercise and write down my values and commit to two actions that embody those values. A lot of discussion at APRA 2016 about different cultural views of philanthropy assumed that the goal was to help non-US donors behave more like US donors. I think that the United States’ philanthropic culture has a lot of useful concepts and tools, but if we exclusively focus on teaching it to the rest of the world, we close our minds to the idea that there may be other methods of doing philanthropy that are equally useful. Many of the key features of contemporary U.S. philanthropy (naming gifts, class gifts, etc.) are very recent and rooted in Gilded Age giving culture. If we assume that this style of philanthropy is the “right” one, we lose out on the opportunity to grow and change. I’m not sure what that an exchange-driven approach would look like, but it’s an interesting idea to mull over. 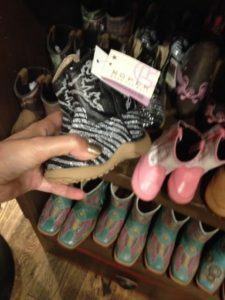 Also baby glitter cowboy boots. New Approach = Better Conference: In the past I have tried to do far too much at APRA Prospect Development. My logic was that since my employer was paying for my hotel and attendance fees and the conference is a once a year opportunity, I should work 24-7. This is a great recipe for burning yourself out and getting sick halfway through a conference or the moment your return home. This year, I tried to conference smarter, not harder (Yes, I’m using conference as a verb. Moving on.) I planned some networking sessions ahead of time and spaced out those sessions and my learning sessions so I had enough time to take a break in between. I focused on having in-depth conversations with a few colleagues, rather than trying to talk to the entire APRA community. Overall, this approach facilitated a far better conference experience; I felt more present in my conversations, I learned and gave more in return, and while I came back tired, I wasn’t sick and exhausted and was able to chug through my overstuffed inbox at a reasonable pace. If you feel overwhelmed by conferences or have a tendency to overwork at them, I highly recommend focusing on doing less better, rather than trying to do everything. October 2018: Happy Halloween! Here is a treat! William Alexander on SB101: Let’s make it awkward. Michelle Gilliland on SB101: Let’s make it awkward. Sharon on SB101: Let’s make it awkward. Jenny b on SB101: Let’s make it awkward.